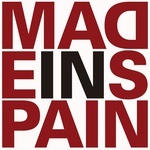 Official reissue of Made In Spain, the experimental industrial electronic classic by De Fabriek originally released by Discos Esplendor Geométrico in 1987. 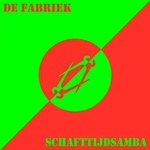 Reissue of the first De Fabriek album, Schafttijdsamba, originally self-released in 1982. De Fabriek ("The Factory") hails from the Dutch City of Zwolle. 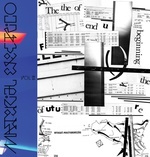 Their goal was to do minimal experimental music and you could see this minimal thing in the products themselves -- limited handmade copies with special packages. They have been for years experimenting with music and creating different soundscapes, not involving with any stream, wave, or trend what so ever. A masterpiece of minimal experimental music. It has been remastered and includes new artwork by the band. 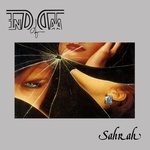 Gatefold sleeve; edition of 300. B.F.E. 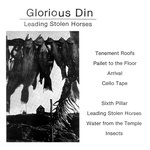 Records present a reissue of Glorious Din's Leading Stolen Horses, originally released in 1985. Progression and creativity are keywords regarding James Plotkin's oeuvre. Beginning with the relentless, ever evolving and hallucinating music of O.L.D., through his many solo records and collaborations, to the surreal heavy-weight sound of Khanate, he's always been bound to be personal. Proof of quality are these instrumental demos of his landmark album of experimental music The Joy Of Disease. 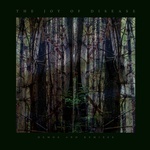 The Joy Of Disease: Demos & Remixes showcases the initial recordings in preparation for the cult-favorite album, released in 1995 on John Zorn's Japanese Avant label. These early home-recorded instrumental versions are supplemented by unreleased remixes from Plotkin and co-producer Mick Harris of Napalm Death/Scorn fame. The remixes were done during the original album sessions at Mick Harris' Black Box studio in the Custard Factory in Birmingham, UK. This is the first time these demo recordings have been heard by anyone other than Plotkin since their inception.